We are proud to count non-profit organizations and businesses as community partner members. Together, we advocate for each other, local artists, and collaborate on projects to create an enriching environment for the Arts Community within Lompoc and the Santa Ynez Valley. All Artwork and Photos shown remain the sole property of the artist. No reproductions are permitted without express permission from the Lompoc Valley Art Association and/or the artist. The Lompoc Valley Art Association is a 501(c)(3) non-profit, supporting the arts within the Lompoc & Santa Ynez Valley through affordable opportunities for artists to show and sell artwork, collaborations with non-profits and businesses on programs and events, investment in higher education for high school art students through scholarships, and a variety of outreach avenues, such as this digital arts magazine, that bring greater awareness to the cultural heart beat of the area. October 17–20,. 2019 Like our Facebook Page "Cypress Gallery" and watch for more details. OCTOBER 17 – 20, 2019 Lompoc Valley Art Association invites the community to “find” pieces of art work that will be “hidden” throughout Lompoc. You find the art – you get to keep it! Social Media will be used to give clues as to where you can find the art work! This Free event is open to everyone and to all ages. Like our Facebook page “Cypress Gallery” to get more details. 2018 CLUES AND LUCKY FINDERS! Kudos must be given to the talented crew responsible for the installation of this exhibition and all our gallery shows. Linda Gooch and Angie Hamlin and their team know how to lead the viewer around the gallery in way that enhances viewer enjoyment. Grouping disparate works of art by size, subject matter, color and composition to create a goodlooking show is an art form in itself, one that they excel at. Thank you, installation team! The spring exhibition is often an opportunity to see art of many different styles and approaches, making for a truly diverse and refreshing show. We hope you will visit the gallery sometime this month to enjoy the artistic energy of our community. Shop for gifts, and note that looking at art is a life-enhancing gift that is free. Cypress Gallery is operated by the members of the Lompoc Valley Art Association, a 501(c)(3) non-profit, committed to expanding and supporting access and exposure to the arts in the Lompoc and Santa Ynez Valley. The gallery is located at 119 East Cypress Avenue, Lompoc. Winter Hours: Tuesday – Sunday 12 noon to 4:00 pm. Phone (805) 737-1129. Visit the Cypress Gallery on Facebook and L.V.A.A. 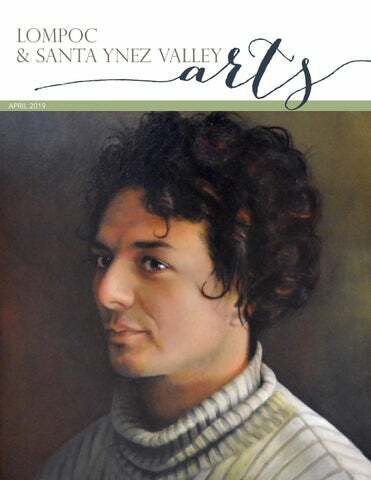 lompocvalleyartassociation.com . I received a Bachelor of Fine Art (BFA) degree from San Jose State University and a Master of Fine Arts (MFA) degree from University of California Santa Barbara, both with an emphasis in Painting. I started working for the Allan Hancock College Art Department in 1989, where I continue teach. I also taught for 20 years in the Santa Barbara City College Art Department. While at SBCC I worked as the Director of the Atkinson Gallery where I took part in the juring of many of the Student Art Exhibitions. I have also had the opportunity of jurying the 2010 Exhibition of the Goleta Valley Art Association. Mural Figures left to right are: Joshua Jacobs, Juanita Centeno, Victor Sousa, Helen Funai Erickson, Fernado Librado, Holton Webb, Mylena Williams, Myra Manfrina, Gin Chow, Kazuo Funai, Louise Artis, Jose Castillo. Close up photo is from 1992 Sunset Magazine; Back row and left to right is Joshua Jacobs, Victor Sousa, Jose Castillo. Front row, left to right is Juanita Centeno, Myra Manfriend, Louise Artis, young girl in front is Mylena Williams. Santa Cruz Island. The name of Librado was acquired later in life and can be translated from Spanish as "book lover." Fernando worked on the Sudden and Jalama ranches. In 1912, he met linguist-ethnographer, John P. Harrington and spent the remaining years of his life sharing his knowledge and recollections of Chumash life . His recollections are published in two books, “Eye of the Flute” and Breath of the Sun. * Holton Webb. Anglo American of English descent (1853-1913). Came to California from Wisconsin 1880. Member of the National Guard in 1882. Came to Lompoc in 1885 and worked as a grammar school teacher and an attorney. Holton became first Principal of grammar school in 1890 until 1900. Myleana Williams. Guamanian descent. She was born in Lompoc and in 1991 she was a sixth-grade student at La Purisima School in Lompoc. She was maintaining a 4.0 grade average and enjoyed swimming and dancing. Myra Manfrina. Anglo American of Dutch, French and English descent. Member of a Lompoc pioneer family. She is active in the Lompoc Valley Historical Society and is a local history researcher. Gin Chow. Chinese American (1857-1933). He emigrated from China in 1874 and in 1911 came to the Lompoc valley to farm. His farm was located near Sweeny Road and the Santa Ynez River. Gin Chow was well known as a weather prophet and in 1932 published a weather almanac. In 1928 he was the lead complainant in Gin S. Chow, et al. vs. the City of Santa Barbara and the Montecito County Water District. Forty plaintiffs, owners of land watered by the Santa Ynez River, claimed that Santa Barbara and Montecito did not have the right to siphon off the river’s flood waters to supplement their water supplies. Kazuo Funai. Japanese American, Issei (1900-2005). He was from the Wakayama Prefecture in Japan. He came to this country in 1915. For many years he owned and operated a market on Central Avenue in Los Angeles. In 1941, he and his family were incarcerated in an American internment camp where his daughter Helene was born in 1943. After the War he returned to LA and started several successful businesses. Louise Artis. African American (1926-1996). One of the Founders of the Club Arcturus, a Community Service Organization. It sponsored many Lompoc civic events such as the Carousel of Cultures. She also served on several local Non- Profit Boards. She was a member of the Lompoc Valley Historical Society. Jose Castillo. Native American of Huichol descent. He came to this country as a young man and settled in Lompoc. He was raised in a traditional Huichol household with a strong work ethic. Jose worked with Juanita Centeno both as a teacher and as a Native American monitor. The information in this article was taken from: Sunset Magazine: pg. 68, July 1992, article by Jena MacPherson. Lompoc Record: Dec. 21 1990 by Andrea Moret, Lompoc Record March 1, 1991 by Andrea Moret, Lompoc Record May 17, 1991 by Andrea Moret, Lompoc Record June 2, 1991 by Jack Mages. Ancestry.com Accessed April 8, 2019 Johnson, J. R. (1982). The Trail to Fernando. Journal of California and Great Basin Anthropology, 4(1). *Hudson, Travis, Thomas Blackburn, Rosario Curletti and Janice Timbrook. 1977. The Eye of the Flute: Chumash Traditional History and Ritual as Told by Fernando Librado Kitsepawit to John P. Harrington. Santa Barbara: Santa Barbara Museum of Natural History. *Librado, Fernando and John Peabody Harrington 1979. Breath of the Sun: Life in Early California. Editor Travis Hudson. Published by Malki Museum Press. • Cost: $90 per person; $160 for two co-creating a fragrance; all materials are included in the price. • Leave with an atomizer of your custom-made fragrance and a take-home guide of the process. The Wildling Museum of Art and Nature is pleased to announce a new exhibit, Permanent Collection, on display in the Valley Oak Gallery from March 29 through November 11, 2019. The show features a total of 19 artworks out of the collection’s near 150 photos, prints, paintings, and sculptures. The art represents many perspectives on the nonprofit’s mission to inspire people to enjoy, value, and conserve wildlife and natural areas through art. Curated by members of the exhibition committee, this show features new acquisitions and highlights unique stories from the collection’s history. In addition to looking back, The Wildling Museum is also looking forward. As the 20-year milestone approaches, facility improvements are underway to expand the art storage capacity by 300% and new educational programming about the collection is currently being developed. This exhibit is possible thanks to the support of many individuals throughout the last 20 years. In particular, the volunteers and art professionals who contributed to this exhibit are Liz Alvarez, James Balsitis, Chris Chapman, Mitra Cline, Holli Harmon, Elizabeth Knowles, Stacey Otte-Demangate, and Nicole Strasburg. More details about all the artist and donors featured in this show are available on the website at https://wildlingmuseum.org/news/permanentcollection. • What: Art exhibit, Inspired by Nature • Where: The Wildling Museum, 1511-B Mission Drive, Solvang, CA 93463 • When: On view from March 22 – May 27, 2019 • Cost: Members FREE and General Admission $5 A group of 24 students from Solvang Schools opened their show of nature photography on Friday, March 22 at a reception at the Wildling Museum of Art and Nature, where it will be on view through Memorial Day on May 27. The students turned their lenses to nature for the show, some finding beauty in their front yards, others during travels to faraway places like Costa Rica. “Nature is everywhere, and if this show helped the students to realize that and improve their photography skills, then I feel like the show is a major win already,” said Wildling executive director Stacey OtteDemangate. The Wildling is grateful to professional photographer Bill Dewey of Santa Barbara for coming to judge the show. First place went to Zoe Kazali for Evergreen, for which she won $100. Evan Gotschall took second place for a fascinating image of Nojoqui Falls, and he received $50. Third place went to Sebastian Cote for a vibrant sunset fronted by an oak tree silhouette, and he won a family membership to the museum. Solvang Schools Teacher Alyssa Spanier of the Yearbook and Media Class for 7th- and 8th-graders was enthused about sharing her students’ work with the community. “We were so excited to partner with the Wildling Museum for this exhibit. As soon as I told the students about this opportunity, their eyes lit up; they were eager to show their best work in a professional setting. In particular, our framing day at the museum was an incredibly rewarding experience. The reality of the show set in as the students carefully framed their work and decided where to hang each piece,” shared Spanier. Wildling staff are working on plans for another juried art show for juniors that will be an online competition, and they anticipate announcing details soon. Besides offering community and juried art show opportunities for students, the Wildling also offers free tours to school classes. Teachers may call Stacey Otte-Demangate to reserve a tour and help develop a custom tour to fit their classroom needs at 805-686-8216 or email her at stacey@wildlingmuseum.org. The museum is also recruiting educational docents to help them work with more classes. Call Mitra Cline at 805-686-8315 for details. May 1 – 31, 2019 Artists' Reception • May 4 • 2:00 – 4:00pm Michele Knecht and Alice Murphy share a love of horses and other animals. As the featured artists at Gallery Los Olivos for the month of May, they explore this connection through their respective mediums of mosaic and oil pencil sketch. Michele Knecht creates vibrant, colorful mosaics in a unique, painterly style, executed in glass. She is inspired by all aspects of nature, and animals in particular. When depicting horses, pets and other animals, she sets out to capture the heart of her subjects in her work. Alice Murphy is predominantly an equine and pet portrait artist, working in oil pencil. She describes her work as a blend of traditional form with a contemporary edge. Color is a key element in her work, which she deftly uses to give her renderings depth and motion. FAIRGROUND SAINTS April 14, 2019 Standing Sun LIVE - 92 2nd Street, Buellton Get your tickets here: http://www.standingsunwines.com/41419-Fairground-Saints_p_714.html A distance of approximately 2,042 miles separates the California Coast from Nashville, TN. Hop on the I-10 East from the Pacific Coast Highway, drive straight through, and you’ll be a stone’s throw from the Grand Ole Opry and strolling down“Music Row”no more than 32 hours later. Fairground Saints literally and creatively made such a trek. Like a montage out of a movie, the California-bred trio—Elijah Edwards, Meg McAllister, and Mason Van Valin—met by way of various social networks and Craiglist postings, locked into a once-in-a-lifetime groove, sold everything, packed up, and headed to Nashville. Within two weeks of relocating, they drummed up a palpable buzz and landed a deal with Sony Music Nashville. They had already earned acclaim from NPR, Huffington Post, and more as early recordings “Can’t Control The Weather” and “Turn This Car Around” amassed millions of streams. Moreover, they toured alongside everyone from Brothers Osborne and Sara Evans to Scotty McCreery and Kip Moore—who after hearing them for the first time invited them to open for him. Touting a striking singular sound, they pave a musical highway between Laurel Canyon and Music City, finding a shortcut to universal bliss by way of country, pop, and rock. These three lifelong musicians transmit real stories through real instrumentation and make a real connection. Doors open 7pm/Show starts 7:30 $20 Standing Room / $25 Reserved Seating • Food Truck to be announced soon All Ages Show! • Tickets are WILL CALL and will not be mailed. KIRBY BROWN April 27, 2019 Standing Sun LIVE - 92 2nd Street, Buellton Get your tickets here: http://www.standingsunwines.com/kirbybrown.html Kirby Brown was born in Deep East Texas, raised in the Ozark foothills of north central Arkansas, and has since spent much of his life traversing an orbit between New York City, Nashville, and his mother state of Texas. From the idyllic, religious farm family he grew up in to the literate, creative communities of NYC, Brown's music is a synthesis of seemingly-disparate influences. His writing channels the long narrative of the American songbook without nostalgia — it bears the torch of traditional form while simultaneously showcasing an entirely original artist. His upcoming record, Uncommon Prayer, finds Kirby at his finest — at-once affable and conversational, while insightfully peeling back the layers of himself and the world around him. A "Poet Laureate of the Everyman," Kirby's writing proves to cast an uncommon redemptive hue onto the seemingly common world. Doors open 7pm/Show starts 7:30 $12 Reserved Seating • Food Truck to be announced soon All Ages Show! • Tickets are WILL CALL and will not be mailed. 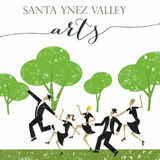 Discover arts and culture in Lompoc and the Santa Ynez Valley, California.